2011 Pittsburgh Summer Plans – Business Travel, Vacation Planning & Local Family Fun – 1st Day Of Summer Is Here! Now that Spring weddings, graduations and the school season has ended, many families are finalizing their summer plans. This includes deciding whether a family vacation is in the picture as well as which additional activities will keep the kid(s) busy during a down time. The problem is that many are recovering from the effects of the recession and gas prices are still taking a toll on finances for traveling. So, how can budget conscious families and business travelers have a fun summer in Pittsburgh without sacrificing what they are used to doing? There are a lot of economical things to do in the ‘Burg. It is just a family friendly and affordable city. It helps that business owners know that people are traveling to Pittsburgh for vacations. They offer discounted services and plan events that make Pittsburgh summer fun obtainable for all (locals and visitors). The City of Pittsburgh is notorious for planning free activities that people look forward to each year. Local churches, galleries, community centers, YMCA / YWCA, non-profits, etc. are also excellent resources for Pittsburgh summer fun. Plus, we have tons of park, historical locations and “hot spots” that make Pittsburgh a treat. We have come up with a quick guide to help with vacation planning, business travel and families wondering how to create their own fun filled summer in Pgh, PA. The City of Pittsburgh 4th of July fireworks display is at 9:35 p.m. at “The Point” (Point State Park – Downtown Pittsburgh) . This is an awesome fireworks diplay, plus fantastic day to picnic with the family, take your boat out on the Allegheny River, Ohio River, Monongahela River and just have a spectacular time with residents of Pittsburgh, PA and surrounding areas as we celebrate Independence Day. Not quite as common as baseball, though an increasingly popular activity for kids / teens in Pittsburgh, going to the skate park makes for great summer and year round fun. The city of Pittsburgh has 3 free skate parks (McKinley Skate Park in Beltzhoover, West Penn Skate Park in Polish Hill and Tuxedo Street Site near Sheraden Park). Other communities like Bethel Park, Boyce Park, South Park, etc) also have free skate parks. You can Google the locations by typing “skate parks near” and your zip code (ex: skate parks near 15206) to find the closest locations. Outdoor Pools and Oliver Bath House (Indoor Pool) are open for business. This is an affordable option for families in the City of Pittsburgh and non-city residents that do not have summing pools at their homes. The Citiparks pools include times for lap swimming, water aerobic classes (age 16 to seniors), swim teams for the kids (including the Citiparks Championship Swim Meet), water carnivals, swim camps and more. Get the rules, rates and exact locations at http://www.city.pittsburgh.pa.us/parks/swimming.htm and don’t forget the both South Park and Boyce Park have fantastic wave pools for public use. There is a fee to use these pools, though well worth the experience if you llive in South or East Pittsburgh or have not visited a wave pool on your last vacation in Pittsburgh. Kennywood – “Must Do” when in Pittsburgh for the summer! Yes, Pittsburgh is known for it’s many bridges, but we also have a ton of beautiful parks to explore. One of the most popular is the Point State Park (“The Point”) in downtown Pittsburgh. It is also called the “golden triangle” as it s the historic location of the French and Indian War (1754 – 1763). This is also where the 3 rivers (Ohio River, Allegheny River, Monongahela River) come to a point and where a lot of our events are hosted because of the spacious beauty, history and cultural impact of the location. The park is open for your enjoyment. Walk down to the HUGE water fountain at the tip of the point and watch the boaters riding by. Visit the The Fort Pitt Museum and Fort Pitt Blockhouse to learn the history of this cherished park. You can have a picnic just about anywhere you choose … This Point is the epitome of Pittsburgh Summer Fun. The Regatta (July 2 – 4), Historical Events, Summer Concerts and 4th of July fireworks are hosted at this park. Nothing says summer like a good old fashioned baseball game. Baseball is America’s favorite past time after all. There are always adult and little league team games in the different communities, though the Pittsburgh Pirates are obviously our favorite team and PNC PARK is our favorite place to watch the Pirates baseball game. Just check out the game schedule to know when the Pittsburgh Pirates are playing and the PNC Park schedule (http://mlb.mlb.com/schedule/promotions.jsp?c_id=pit) lists their special promotions for each game day. So, whether you live in Pittsburgh or a visiting on vacation, don’t forget to plan for a day at PNC Park (115 Federal Street Pittsburgh, PA 15212 pHONE: 412-321-BUCS or 1-800-BUY-BUCS); baseball games always make summer fun and create memorable occasions. Many events are hosted at PNC Park. If your company is hosting a business meeting / fund raiser / corporate event; or your family has rented a room for a Bat / Bar Mitvah, Wedding Reception, Birthday or Anniversary Party, do not hesitate to contact us for a QUOTE for limousine, party bus or luxury car service. We are also available to transport you to and from the Dave Matthews Band concert of July 10, 2011. All of the boutiques host a community side walk sale where you can get great deals and have a great time shopping. Hosted by The Shadyside Action Coalition, this is an annual fundraiser and self guided tour of 7 to 8 homes in the Shadyside neighborhood. They make this event fun by providing a variety of contemporary, traditional and classic Victorian that are characteristic of the Shadyside community. Guests get decoration and renovation ideas. People from all over the tri-state area come to the Shadyside House Tour each year. Call (412) 361-3771 to get the specifics on times and agenda. Proceeds are “put back” into the community. Ask any college student where the best spots are in Pittsburgh and Oakland is more than likely to be on their list. It is an urban, cultural, health and academic community. Oakland is home to the University of Pittsburgh, Carnegie Mellon and Duquesne University. Trust us! It is not boring in Oakland and there is a ton of “stuff” to do for free and very economically, as it is our “college town”, though filled with family friendly and cultural activities. This has always been a spot for nightlife and daytime activities. Some popular attractions are Essie’s Original Hot Dog Shop (The Dirty O”)”, Phipps Conservatory & Botanical Gardens, Frick Environmental Center, Carnegie Museum & Library, Schenley Park, Soldiers and Sailors National Military Museum and Memorial and much more. Best of all, Oakland neighbors other popular areas in Pittsburgh such as Squirrel Hill – near Pittsburgh’s Waterfront area – and Shadyside (mentioned above). We suggest that you check out this website – http://www.onlyinoakland.org/visit.php – to learn more about Oakland and all of the fun things to do! Don’t forget to make at least one summer night a little extra special by renting a limousine or party bus from TDF Limousine. They take all of the stress out of driving and parking in Pittsburgh, plus provide a safe alternative to on occasions when you plan to drink. Best of all, you can pamper loved ones and friends by hosting your own party in one of these luxurious limousine buses … THIS IS SUMMER FUN FOR ALL!!! 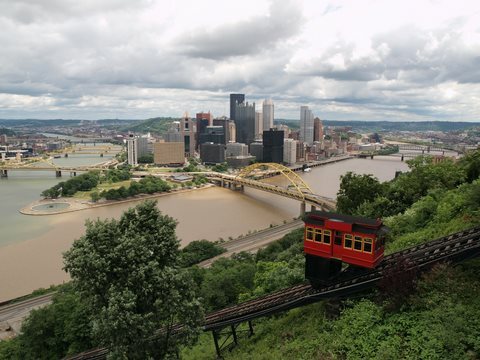 Pittsburgh is definitely an awesome city to live, visit for family vacations and business travel; especially when you have inside tips on the “hot spots” and who hosts events that contribute to Pittsburgh summer fun. We hope that you enjoy!